Product prices and availability are accurate as of 2019-04-14 12:08:23 BST and are subject to change. Any price and availability information displayed on http://www.amazon.co.uk/ at the time of purchase will apply to the purchase of this product. 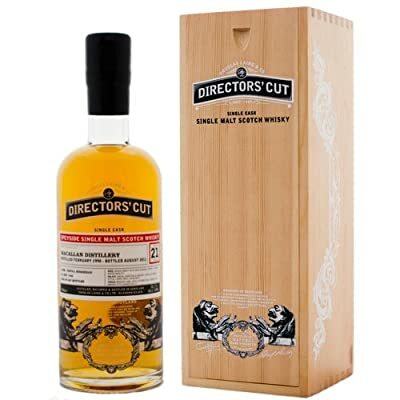 "70cl / 52.7% - A delicious single cask Macallan, distilled in 1990 and aged for 21 years in a refill hogshead before bottling in August of 2011 for Douglas Laing's Director's Cut range. "